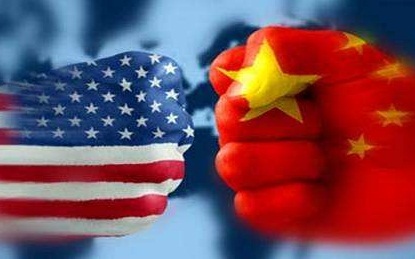 Sept.19--US President Donald Trump has escalated his trade war with China by imposing 10 per cent tariffs on another US$200 billion worth of Chinese imports and threatening to target more if Beijing retaliates. In announcing the new round of tariffs, Mr Trump warned that if China takes retaliatory action against US farmers or industries, "we will immediately pursue phase three, which is tariffs on approximately $267 billion of additional imports." Collection of tariffs on the long-anticipated list will start September 24 but the rate will increase to 25 per cent by the end of 2018, allowing US companies some time to adjust their supply chains to alternate countries, a senior administration official said. However, China said it has no choice but to retaliate against new US trade tariffs, risking even stronger action from President Trump in an escalation of the trade war between the world’s largest economies. "To protect its legitimate rights and interests and order in international free trade, China is left with no choice but to retaliate simultaneously,?the commerce ministry said in a brief statement, without specifying what action it would take. "The United States insists on increasing tariffs, bringing new uncertainties to bilateral trade negotiations. China hopes the United States would recognise the negative consequences of its actions, and take convincing steps to correct its behavior in a timely manner." The escalation of Trump's tariffs on China comes after talks between the world's two largest economies to resolve their trade differences produced no results. US Treasury Secretary Steven Mnuchin last week invited top Chinese officials to a new round of talks, but thus far nothing has been scheduled, reports Reuters. Vice chairman of China's securities regulator, Fang Xinghai, told a forum in the Chinese port city of Tianjin that he hopes the two sides can sit down and talk, but added that the latest US move has "poisoned" the atmosphere for negotiations.